I've stitched this too cute pattern for a dear friend. 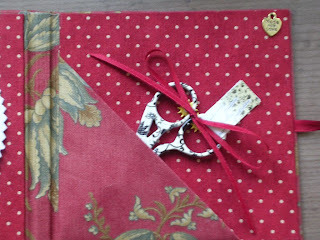 I made a needle book with a scissors pocket and added some pins from Butterfly Couture. 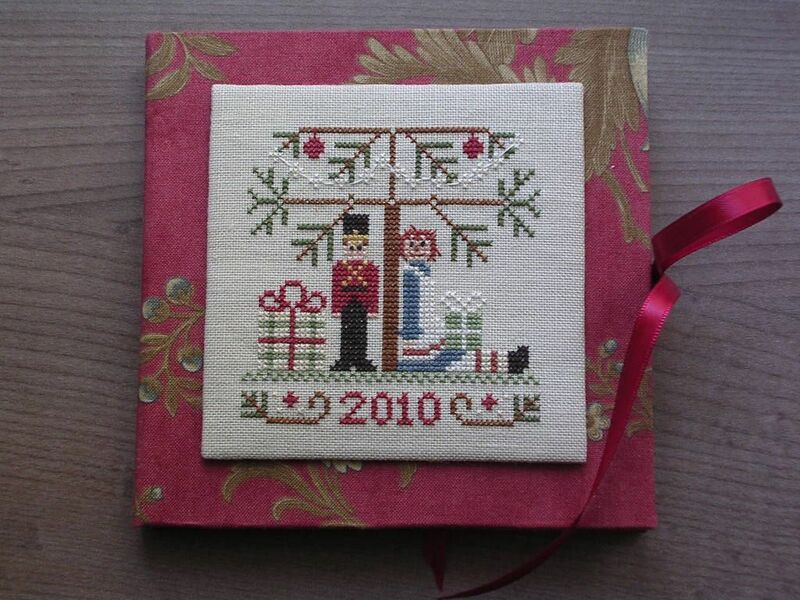 Little House Needleworks "Under The Tree"
A snowball for the pins! A gorgeous finish. I'm sure your friend will be delighted. 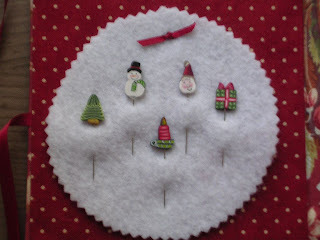 Love the festive pins. That turned out beautifully - Do you know any good links to tutorials to make a needle book like yours? It's so beautiful :) I love all samplers and this book is so lovely!! What a gorgeous finish - I love the pins! Many thanks to all for your sweet comment. I will do a tutorial as soon as possible and will be available on my blog in few days. Absolutely a fabulous finish! Love the "snowball" for the pins. I will be checking for the tutorial!